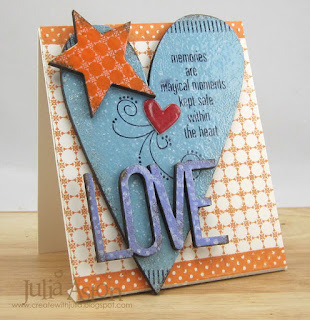 Today I have card art to share that I made using some fun Art Parts - Hearts,Love and Stars. I embossed the big heart in Sky Blue Embossing Powder, the star in Tiger Lily and the LOVE in Violet. 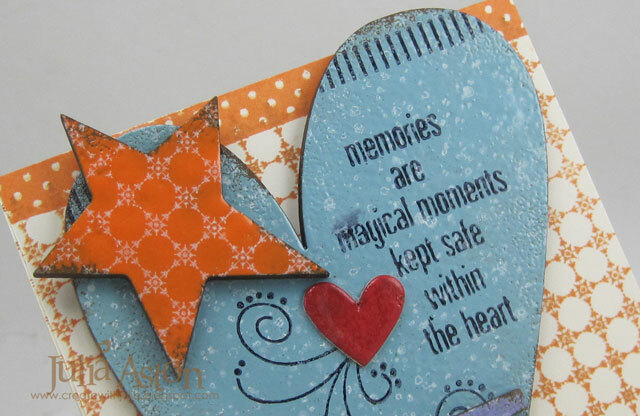 The little heart is a Tiny Shapes die from TH and I embossed that in Red Geranium - all Wendy Vecchi powders. Next I stamped over the shapes - using Spatter background on the blue heart, Ornate Dots on the star and dots from Large Collage on the LOVE. The sentiment and black lines on the heart are from Wendy's Discover Art set and the flourish is from Say it with Art. I cut a panel of Vintage Cream Cardstock and stamped the Ornate Dots background (I LOVE this stamp!) on it with Tiger Lily ink. The stamping didn't quite fill the panel so I inked up the Reverse Dots Background stamp and pressed the top and bottom edges of the panel onto the inked stamp. I love how that border looks! 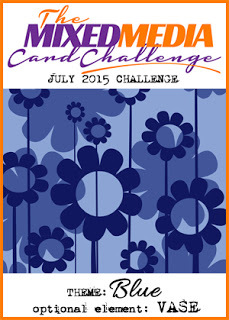 I layered my creation onto an Eileen Hull Sizzix Die called Frame-Mailable. The die cuts a rectangle out of the center of the front panel where you can place a photo. 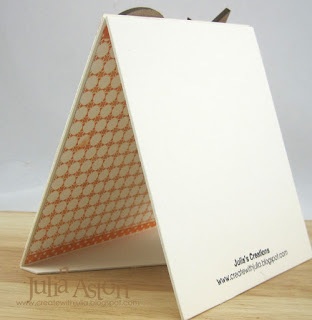 I chose to use the die cut as a stand up 'easel' to display my Art Parts creation. You can fold up the base piece and the frame (5" x 4 1/4") fits in a regular A2 size envelope - although with my Art Parts being thick and going over the top edge - I'd have to use a larger envelope if I wanted to mail this! To cover the frame opening on the inside - I adhered a stamped panel like the one on the front. Stamps: Ornate Dots, Large Collage, Spatter, Discover Art, Reverse Dots, Say it With Art - Wendy Vecchi/Stampers Anonymous. 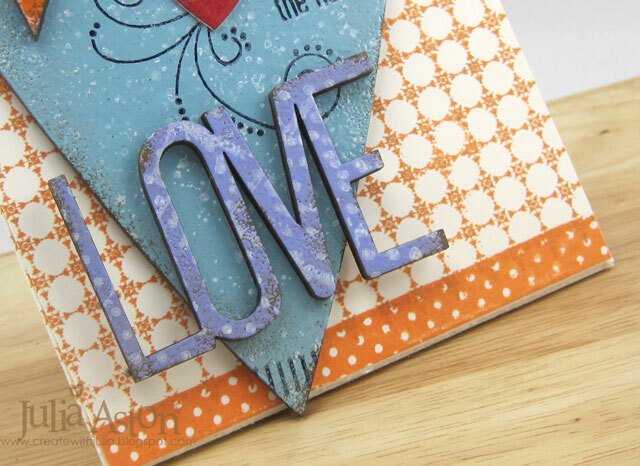 Accessories: Wendy Vecchi Embossing Powder Tiger Lily, Sky Blue, Violet and Red Garanium, Frame-Mailable die - Eileen Hull/Sizzix, Tiny Shapes Movers and Shapers dies - Tim Holtz, Art Parts Hearts, Love and Stars - Wendy Vecchi. WOOOOOOOOOOOOWW!!! Julia this is stunning!! Pinned :) I do need to ask you, what type of cardstock did you use for your base, looks very heavy and sturdy. I love sturdy cardstock cards!!! Beautiful card Julia! Love the country charm! Hope you enjoy every moment of your well deserved vacation! Nice to hear that ur enjoying ur holidays. Ikea is a super huge place. I hope u find what u want soon. I struggle sometimes with assembling their products but eventually fig it out. Ha ha. Loved your card and the colour combo. 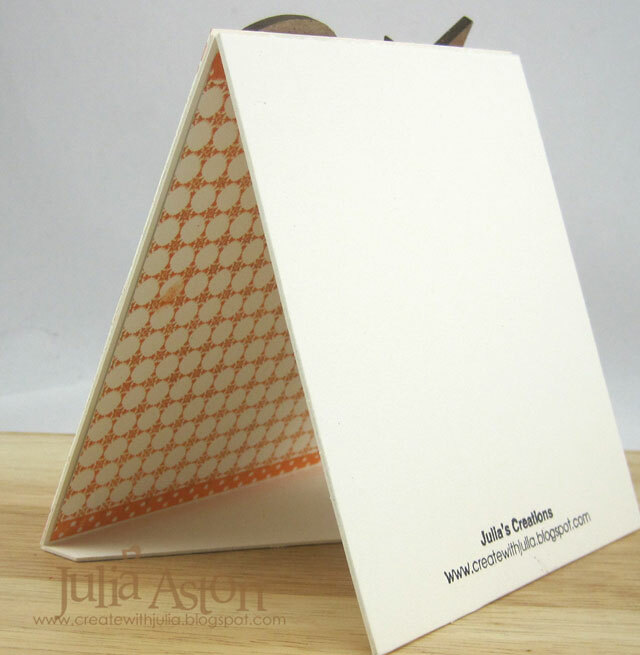 Such a great dimensional card Julia! I love the layers of embellishments! Have fun while on your vacation, IKEA is the grownup's Disneyland! One of my fav destinations! LOL! Hugs to you my friend! 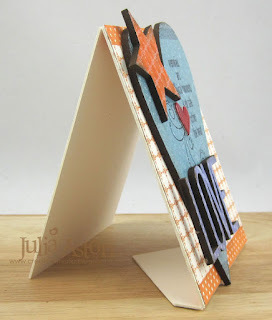 What a beautiful card Julia, love the heart and how you have mounted the word on top, gorgeous. And isn't Ikea fun? Hope you will find a desk that will be perfect for your craft room. Deb xo P.S. enjoy your holiday!